Truth be told, the White House has been on the conservative of side of deploying technological advances in its own working environment. Sometimes this slowness is a result of security precautions; other times it’s just plain old-fashioned leadership. That’s not to say that presidents have not embraced technology once it has permeated the Oval Office. In fact, the opposite is often true. 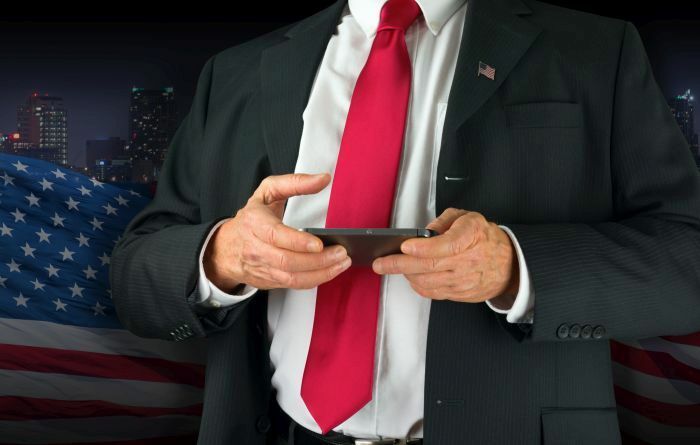 So in honor of Monday’s celebration of President’s Day, here is a rundown of presidential early adopters of modern office technology. In 1877, Rutherford B. Hayes installed the first telephone in the White House telegraph room. Naturally, the President’s phone number was “1”—though Hayes rarely used the phone, if only because there was nobody to call; telephone service was still very much in a nascent state during his term. More than 50 years later, Herbert Hoover added a telephone to the Oval Office. Under the direction of Richard Nixon in 1971, the Secret Service wired microphones to the telephone and around the Oval Office as a surveillance measure, recordings from which would later be used against Nixon in the Watergate hearings. To celebrate George Washington’s birthday in February 1922, Warren G. Harding installed a radio in the White House. Two years later, President Calvin Coolidge would deliver the first-ever radio broadcast by a U.S. president. Radio broadcasts were vital for Franklin D. Roosevelt for keeping up citizens’ morale during the Great Depression in the 1930s; his famous “fireside chats” kept the population abreast with plans for recovery. In 1947, Harry S Truman delivered the first televised address, a now-familiar ritual for US presidents. Truman’s speech urged Americans to undergo food conservation to help hard-pressed Europeans struggling through winter famine after the Second World War, and aired on only 44,000 television sets as the technology was still in its infancy. Truman’s successor Dwight D. Eisenhower regularly televised press conferences, and was so prolific with his use of the medium that news broadcasts extended from 15 minutes to a half hour to accommodate his content. He even won a Primetime Emmy Award in 1956. Perhaps the technology that the White House was slowest to adopt was personal computers. Bill Clinton says he sent two e-mails while in office: one to U.S. troops in the Adriatic Sea, and another to 77-year-old astronaut John Glenn while in orbit. PC use picked up from there, however; George W. Bush increased e-mail adoption during his two terms in office, and Barack Obama has been outspoken to how critical e-mail is for keeping him in touch with his staff. George W. Bush will likely be remembered as the first Internet president. During his term we witnessed a number of live streaming events, such as the “Ask the White House” Web chat, and the 2001 launch of the whitehouse.gov video stream that broadcast all public White House events. The White House launched an RSS feed in 2005, and dedicated an iTunes channel for the President’s daily press briefings and State of the Union addresses. President Bush used an iPod as well. The BlackBerry will go down in history as the first presidential mobile phone, and it belongs to Barack Obama. When the president forgets his phone as we all have, it makes headlines in Time Magazine. President Obama deploys other gadgets as well; he has been seen checking documents in the Oval Office from what appears to be an iPad 2 or iPad Air. Even though Obama is regarded as the first social media president, Donald Trump is the first president to make Twitter his own. Trump tweets superseded more commonly used outlets of presidential communication like press conferences, official statements, and interviews. Everyone with mobile devices was able to take an easy glimpse into the mind of one of the most powerful leaders in the world and this was pretty groundbreaking. While no one will know the reason for Trump’s focus on Twitter, he’ll definitely go down in history as the Tweeter in Chief. Any history buffs out there? Did we miss any presidential early adopters? Let us know in the comments.